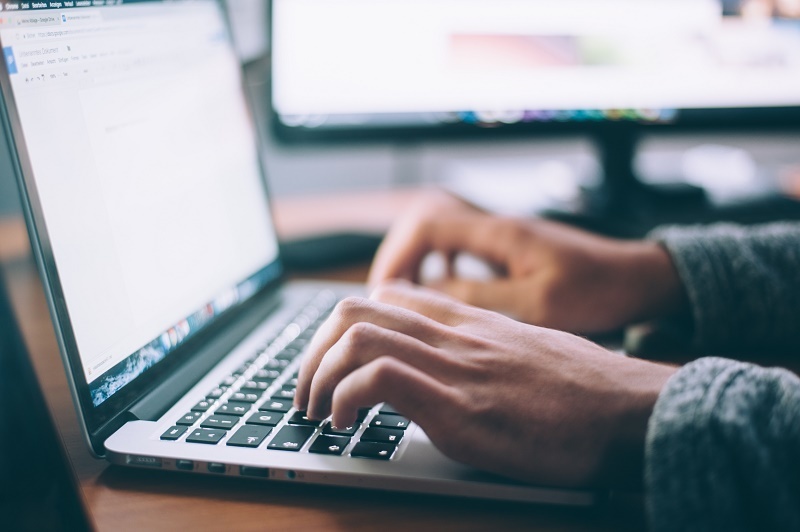 In the latest article UTM Tagging Explained we talked about the importance of correct URL tracking for entrepreneurs, in order to analyze customer data correctly and to optimize every marketing activity. Even though companies put emphasis on correct URL tracking from the beginning, corporate growth, especially increasing numbers of employees and growing, international expansion, lead to an increasing complexity of marketing activities. Therefore, it becomes more difficult to ensure correct tracking data. Growth and expansion are often correlated to marketing campaigns on several channels and in cooperation with many partners in different countries. Due to this complexity and human errors it happens that consistent tracking standards cannot be enforced any longer. But inconsistent tracking data leads to incorrect marketing reports. Many marketers trust Google Analytics’ free UTM Builder when building UTM tracking links. Although this tool has a clear UTM structure for every campaign, mistakes and inconsistencies are predestined using it. Why? Because every box needs to be filled in manually. This is problematic if for example several employees work on the generation of URLs for different campaigns. Errors frequently occur because of mistakes like using small and capital letters, a mix-up of UTM source and medium or inconsistent notations (aff vs. affiliate, scm vs. social media etc.). In order to avoid such mistakes the use of excel files or Google Docs is an alternative to the Google UTM Builder. This works better in general because standardized tracking structures for every channel can be established. Such a file with UTM parameters can be quite helpful for companies in their start-up phase. That is why we created a UTM Tracking Parameters file which is available for free download below. You can customize this file to your company specific tracking requirements and use it for the generation of campaign URLs. Nevertheless, we often see here at Applicata that mistakes are also made in such documents when it is being used by several employees. As already mentioned, Google already matches campaigns differently according to the use of small and capital letters or different notations of a specific value. As a drop-down menu and a central administration of UTM options is missing, the generation of URLs with the help of this Excel File or Google Docs is still highly error prone. Google cannot match traffic to its correct channel and its correct campaign when using incorrect UTM tracking links. That is why often a big part of the traffic is placed into the categories “unallocated” or “other”. This means that Google tracked the traffic, however, cannot relate it to a specific channel or partner. We already saw projects in which nearly 30% of the whole traffic has been matched incorrectly or lumped into “other”. If website visits cannot be counted back to their correct campaigns, every analysis and report of this campaign is incorrect, too. The optimization of marketing activities based on wrong data leads to wrong budget allocations between marketing activities, too high expenses, lost revenue and consequently, to low profitability of your company. The goal is to always track the traffic to its correct channel and partner. With the help of the campaign builder every marketing manager can generate a UTM tracking link for every campaign, partner and country when using Applicata. 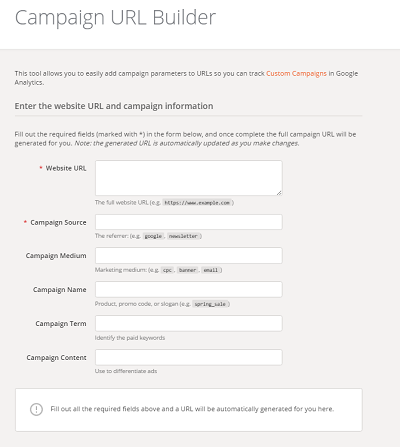 Due to the use of a drop-down menu the selection of UTM parameters is always correct and consistent. Furthermore, the tracking link can easily be copied and pasted for every advertisement and every website visit can thus be matched to the right campaign in Google Analytics. If somehow tracking a link was built incorrectly and incoming traffic henceforth was allocated incorrectly, a second valuable tool within the Applicata Software can correct this for you: the mapping tool. This tool is an interface in which incorrect UTM trackings can be mapped to their correct place in the campaign tree. Consequently, website visits can be related to the right campaign, source and medium. Example: Let’s assume there was a spelling mistake. The visit data of the incorrectly tracked campaign can easily be redirected to the right one. Due to this correction, incorrect website visits can be redirected and correct campaign reports can be established. This in turn is the basis for optimized budget allocations, growth and higher profitability. p.s. So far, we did not find a way to export the corrected UTM tracking data into Google Analytics in order to correct the allocation of these campaigns in Google Analytics as well. We would be grateful for a hint how this could work. We support small & mid-sized companies with technology and know-how so that they can thrive and compete. Get more information about our product and stay up to date with interesting analysis trends that might help your business.